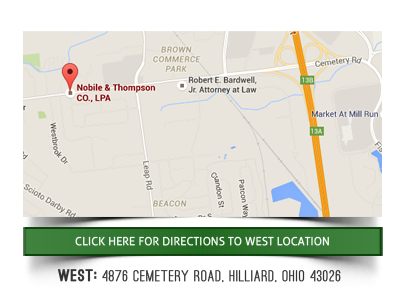 James E. Nobile is a partner with Nobile & Thompson Co., L.P.A. where he focuses his practice on Bankruptcy Litigation, Consumer Litigation, Fair Debt Collection Practices Act, and Fair Credit Reporting Act. Jim is admitted to practice in the State of Ohio; U.S. District Court, Southern District of Ohio; and U.S. Court of Appeals Sixth Circuit. Mr. Nobile received his undergraduate degree from The Ohio State University in 1988 and his law degree from Capital University in 1992. From 1992-1993, he was Law Clerk to Honorable Barbara J. Sellers, U.S. Bankruptcy Judge in Columbus, Ohio. He is a Past President and former Board of Trustee Member of the Credit Education Coalition. Matthew J. Thompson is a partner and bankruptcy attorney with Nobile & Thompson Co., L.P.A. where his focus is Chapter 7, Chapter 13, and Chapter 11 Bankruptcy. 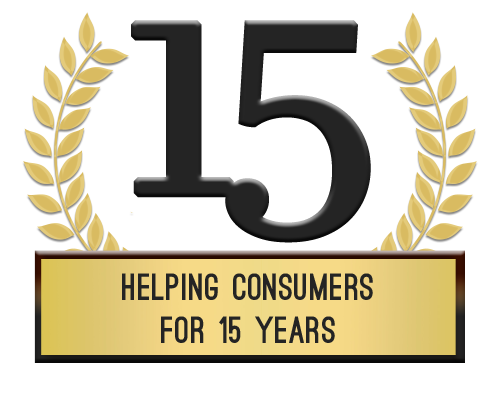 Mr. Thompson specializes in filing bankruptcy for both personal and business clients. Matt is admitted to practice law in the State of Ohio; U.S. District Court,Southern District of Ohio; and U.S. District Court, Northern District of Ohio. 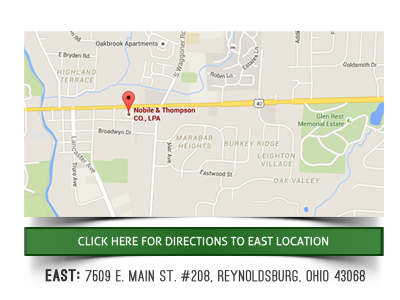 Mr. Thompson received both his undergraduate degree from The Ohio State University and his law degree from The Ohio State University, College of Law. Matt was previously an Assistant Attorney General for the State of Ohio and has worked as a Trial and General Counsel for the Ohio Student Aid Commission. While at the Attorney General’s office, he also worked in the Revenue Recovery Section, Bankruptcy Unit. He is also a two-time Past President for the Credit Education Coalition. Michael B. Zieg is of counsel with Nobile & Thompson Co., L.P.A. where he focuses his practice on Bankruptcy Litigation, Business Disputes, Consumer Rights, and Consumer Debt, including actions arising under the Ohio Consumer Sales Practices Act, the Fair Debt Collection Practices Act, the Fair Credit Reporting Act, and the Real Estate Settlement Procedures Act. Mr. Zieg is admitted to practice law in the State of Ohio and is also admitted the U.S. District Court of the Sothern District of Ohio and the 6th Circuit U.S. Court of Appeals. Mr. Zieg received his undergraduate degree from DePauw University in 1990, his Master of Business Administration degree (with honors) from The Ohio State University in 1992, and his law degree (with honors) from Capital University Law School in 1996. In addition to his legal practice, Mr. Zieg has several years of experience developing and managing real estate.